I was so excited when I ordered the Get K-Beauty Box because I knew I would use every item in the box. 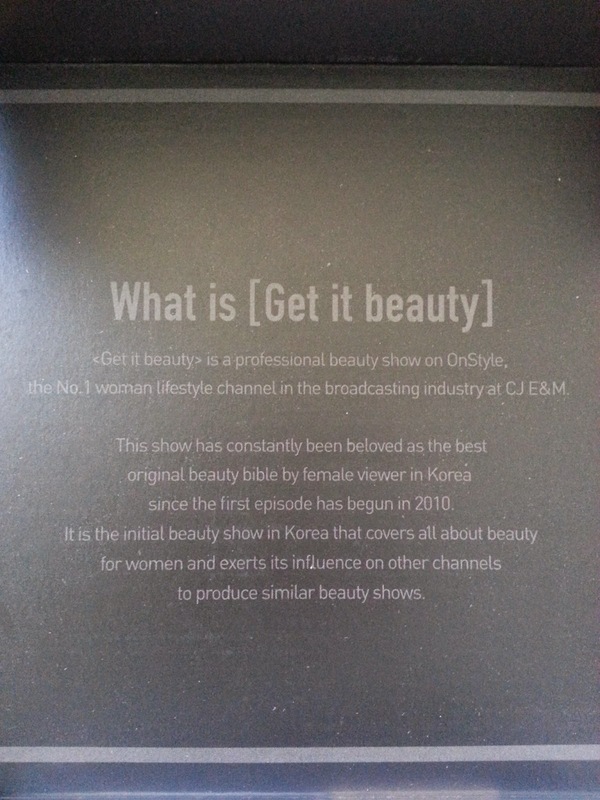 This box is from the company CJ E&M, the creator behind the popular Korean beauty show Get It Beauty. 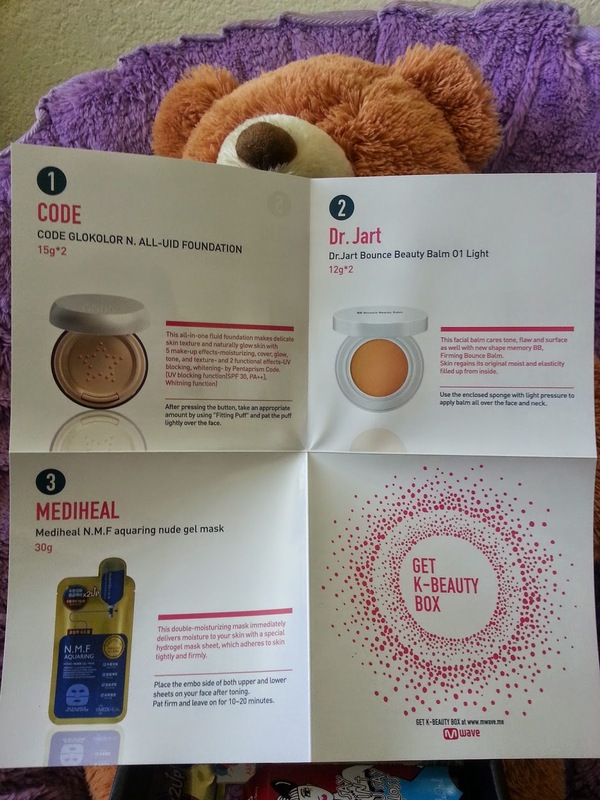 Whether you are new to K-beauty or not, you should definitely check out this show and this box. The Get K-Beauty Box contains 7 goodies ranging from BB cushions to face masks, worth over $110. I bought this box early Septemeber from MWave for $40 + $2.99 tracking. 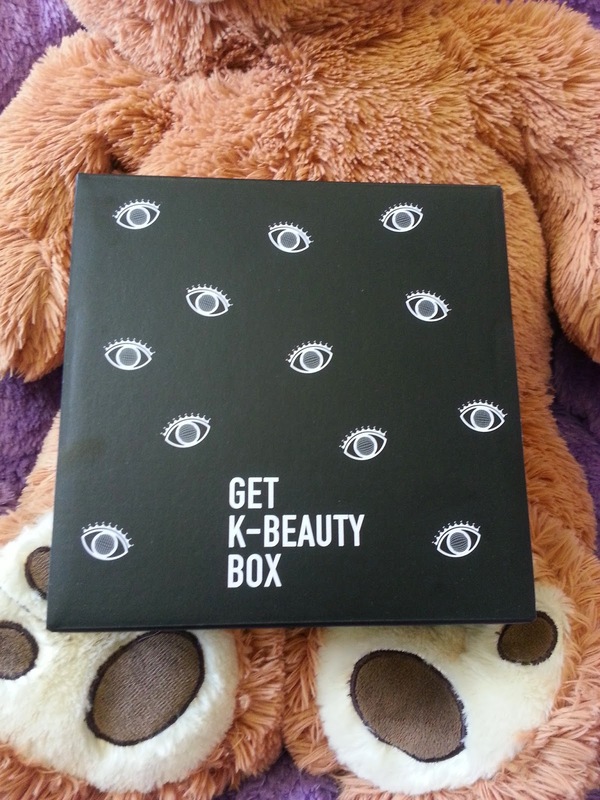 Sadly, MWave is no longer selling this box, however, Sokoglam is. So you can still grab yours from them. Sokoglam is selling the box for $50. This is not a subscription box and I'm not sure if it's a one time thing or not. But I do hope they do something similar to this in the future. 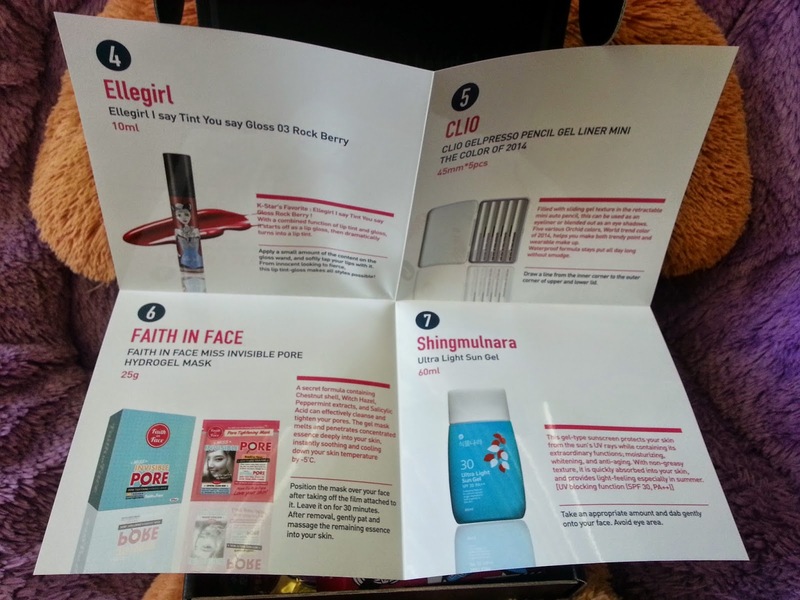 Beauty boxes are so popular these days because it's a great way for consumers to try new products. Some of you might know, I recently got into Memebox, which is a non-subscription box service. They offer mystery boxes like Birchbox or Boxycharm and you can choose from a wide variety of themes and selections. 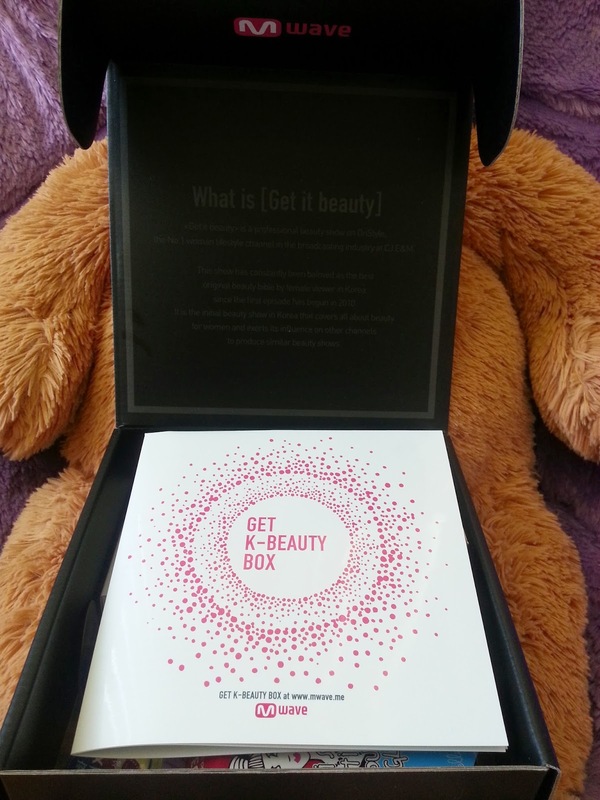 Memebox focus mainly on Korean beauty products, so for all you k-beauty lovers out there looking for some awesome beauty boxes, give this one a try! Okay, back to the Get K-Beauty Box. This beauty box came in a cardboard box and it was wrapped in layers bubble wrap. Super protective! After unwrapping all the bubble wraps and finally seeing the box my first thought was, 'Wow, that's a lot of eyes' lol. Even though I knew what the box looks like before I got it, I didn't realize how creepy the eyes actually looked. This is perfect for October actually, Halloween...creepy eyes...I might use it for a Halloween craft. When you look past the creepy eyes though, the black and white box look pretty sleek. This is what the front and back of the pamphlet looks like. I think this is the nicest description card I've ever gotten in any box. Each product comes with a short description of the product itself and how to use it. Here's what the box looks like, packed nice and neat ^^. I was very happy that nothing broke or leaked, which is always one of my fears when I buy beauty boxes. I've gotta be honest, I've never used a sun gel product before, so this is quite exciting. The packaging is adorable and I do like blue. It's a SPF 30 PA++ product, which means lots of sun protection. This gel sun care product not only protects your skin from the sun, it also have moisturizing properties, brightening properties, and anti-aging properties. It's not greasy and absorbs quickly into the skin. It won't feel heavy or anything on the skin which is perfect for anytime. To apply, simply take an appropriate amount of the gel product and dab gently onto the face. Avoid eye areas. This foundation was one of the reasons why I wanted to buy the box. The foundation is in a BB cushion like compact, so it's a bit bulky. However, the packaging is nice and the inside is cute. If you look at the pamphlet picture above, you'll see what the compact looks like on the inside (it's the 1st product on the pamphlet). The foundation comes out from small holes that form a star! This is an all-in-one fluid foundation. 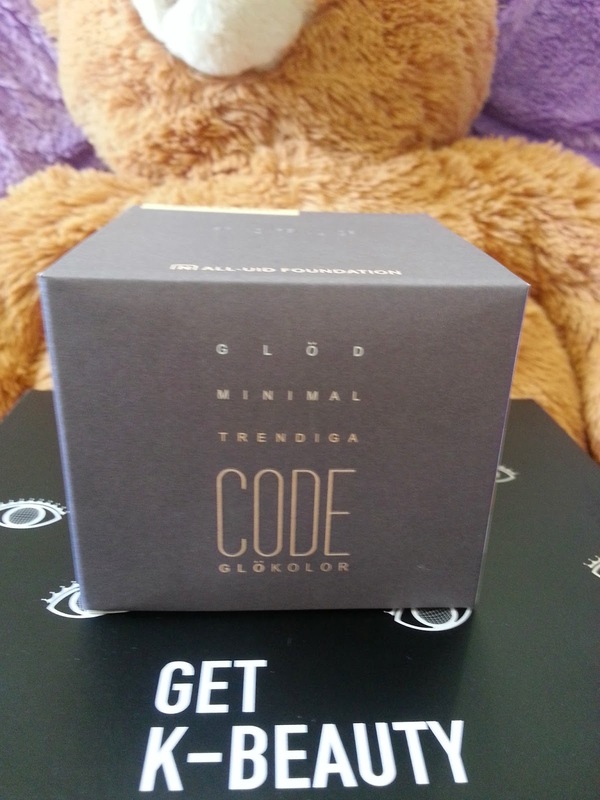 Its got 5 makeup properties which are cover, moisturize, glow, tone, and texture. It's also got brightening properties. This foundation compact also have SPF 30 PA++. To apply, press the small button inside the compact to produce enough foundation, take an appropriate amount and apply it in a patting motion onto the face. Use the 'Fitting Puff' that came with the compact to apply. 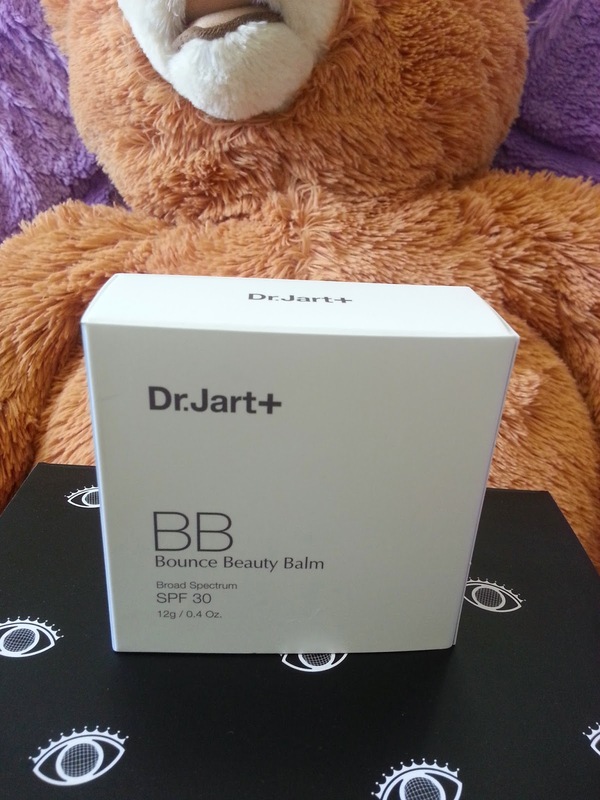 Would you believe it if I told you this is my first BB cushion? Yeah, totally late on the trend. I've known of them since they first came out, but I had so much BB creams and foundations to finish that I promised myself I wouldn't buy any new ones until I'm almost done. So now that I'm finally almost done with them, these 2 came just in time! This beauty balm has properties such as toning the skin, fixing flaws, moisturizing, and providing elasticity to the skin. To apply, use the enclosed sponge with light pressure to apply the beauty balm all over face and neck. Such a unique packaging, I like it. This product is a lip tint/ gloss. It comes in a lot of colors, the one I got is the Rock Berry 03. It's a little bit of a darker red than I would like, but since it's a tint, I can probably apply a light layer easily. I'm excited to do some awesome lip gradation with this product too. This tint gloss starts off as a lip gloss than dramatically turns into a lip tint. To apply, take an small amount of the product on the gloss wand and softly tap it on your lips. Apply multiple layers for a darker, fiercer look. It's such a cute case; very secure but I had a bit of an issue when I tried to open it. Anyways the 5 colors it comes with are #12 Shine Lavender, #13 Frozen Lavender, #14 2014 Orchid, #15 Bloody Purple, #16 Blackish Orchid. Each gel liner pencil is an auto twisty type, hooray, no sharpening needed. I've always wanted to try some gel liners but didn't know which ones, so these will be a great start. 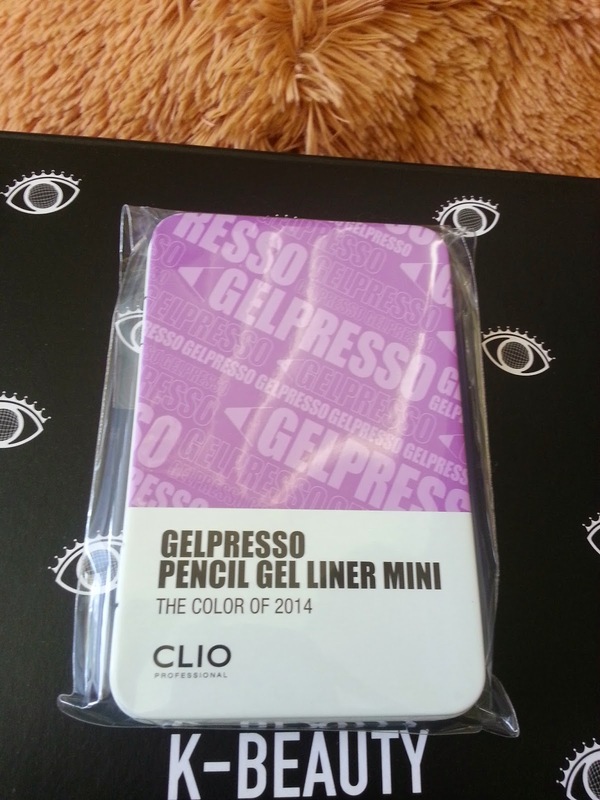 The gel pencils have a sliding gel texture and can be used not only as a liner but also as eye shadows. Orchid colors is currently the colors of 2014 so this set is perfect for trendy and wearable makeup styles. It's also waterproof, so the formula will stay all day with no smudge! I've never used this brand of masks before, so this should be interesting. This product is a double moisturizing mask product. 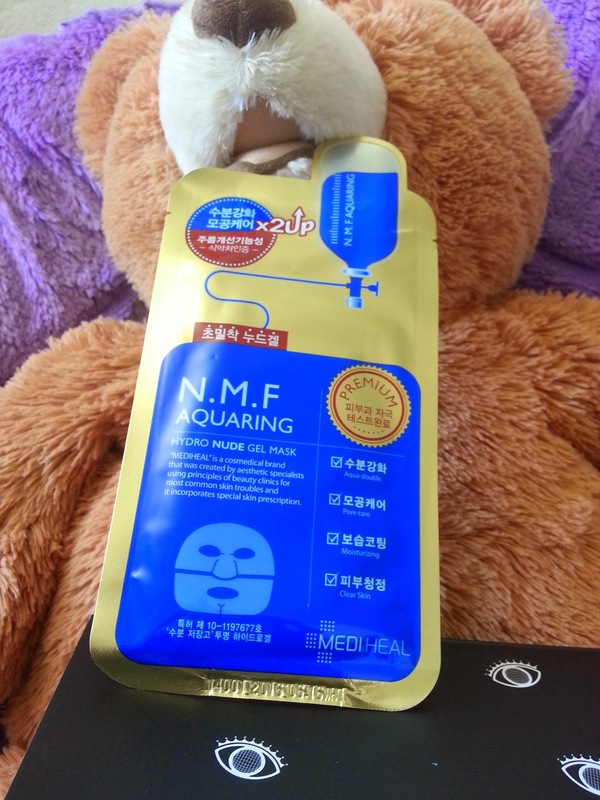 It's a special hydro gel mask sheet and delivers the moisturizing effects immediately. It forms and adheres to the skin easily and tightly. Which means it won't slide around yay! The face mask also comes in 2 part, a top part and a bottom part, so it'll make application easy. To apply, place the upper portion and lower portion on your face after you've washed and toned. Leave the mask for 10 ~ 20 minutes. I've tried so many pore related items now and many have not worked for me. So I do hope this one works. 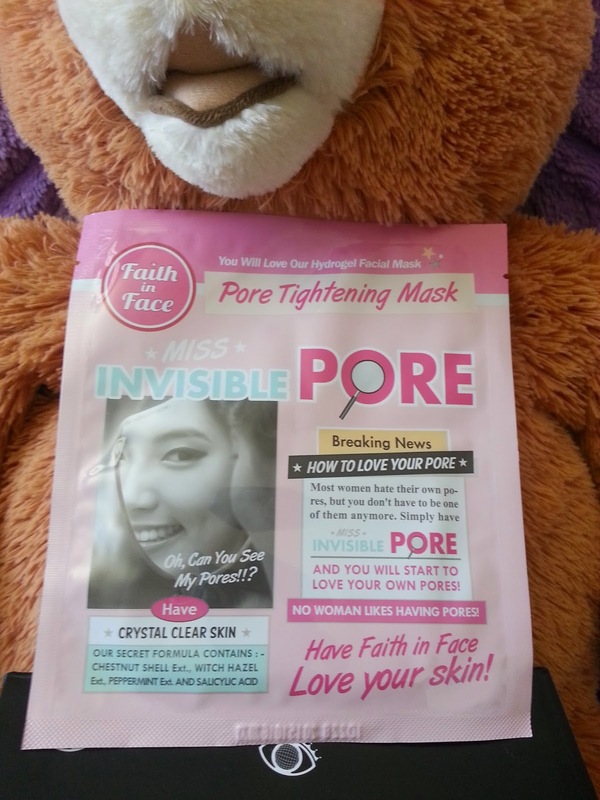 Most products I've tried will minimize the pores for a short hour or two, but it doesn't last. I'm excited to try this mask though, since it contains ingredients like Witch hazel, Chestnut Shell, and Peppermint extracts. According to the product, these ingredients along with salicylic acid can effectively cleanse and tighten the pores. The gel mask is to melt and penetrates the concentrated essence deeply into your skin. The product promises to instantly sooth and cool down your skin temperature by -5 degree C. Not sure if that's true or not but I shall try it and let you all know. Really hoping this would be a great mask. To apply, smooth the mask over your face after taking off the film attached to it. Make sure you wash your face and tone before applying the mask. Leave the mask on for 30 minutes and after removal, gently pat and massage remaining essences into your skin. Alright, that's all the products in the box. I'm really excited to try all of them! Definitely will buy more boxes like this in the future. Let me know in the comments below what your favorite beauty boxes are and what are some box programs you think I should try!